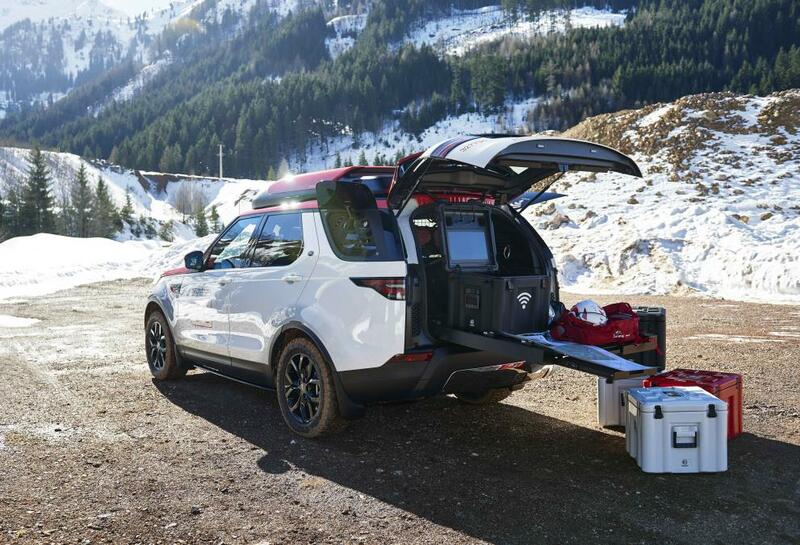 Whitley, England – 7 March 2017 Jaguar Land Rover Special Vehicle Operations (SVO) has designed and engineered a bespoke version of the new Land Rover Discovery for use by the Austrian Red Cross. ‘Project Hero’ was presented to the world’s media for the first time today at the Geneva Motor Show. 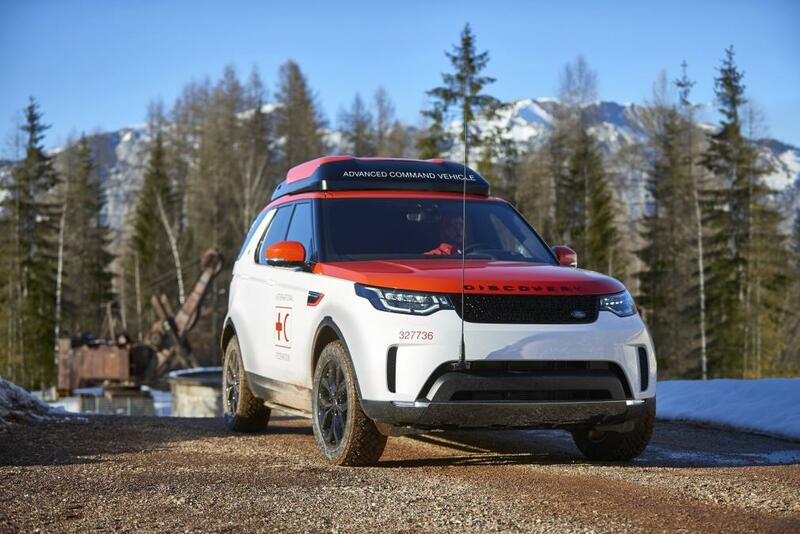 Project Hero is an advanced communication vehicle, created to support Jaguar Land Rover’s partnership with the International Federation of Red Cross and Red Crescent Societies (IFRC), the world’s largest humanitarian network. 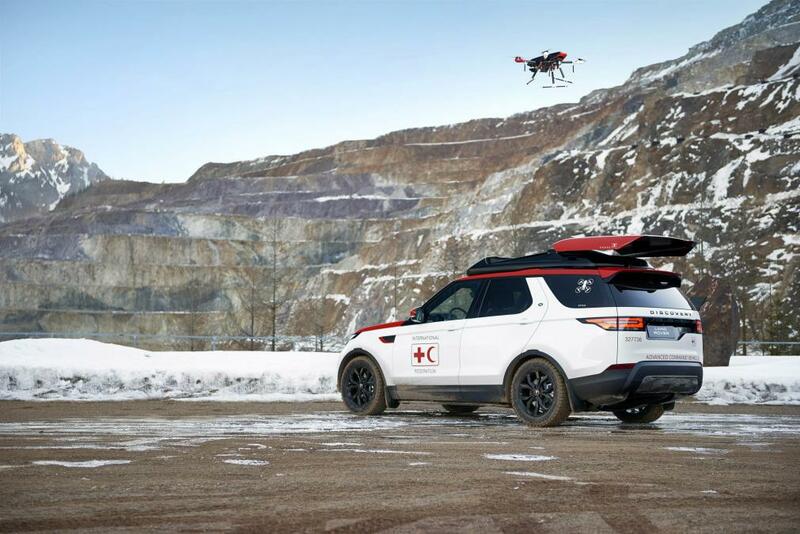 SVO collaborated with the Austrian Red Cross to develop a unique Land Rover that will be trialled by their emergency response teams. It is hoped it will help the Red Cross save lives by speeding up response times to disasters. Land Rover has supported the Red Cross since 1954 and supplied 120 vehicles to the IFRC for deployment in all corners of the globe. Project Hero is the first with a roof-mounted drone. 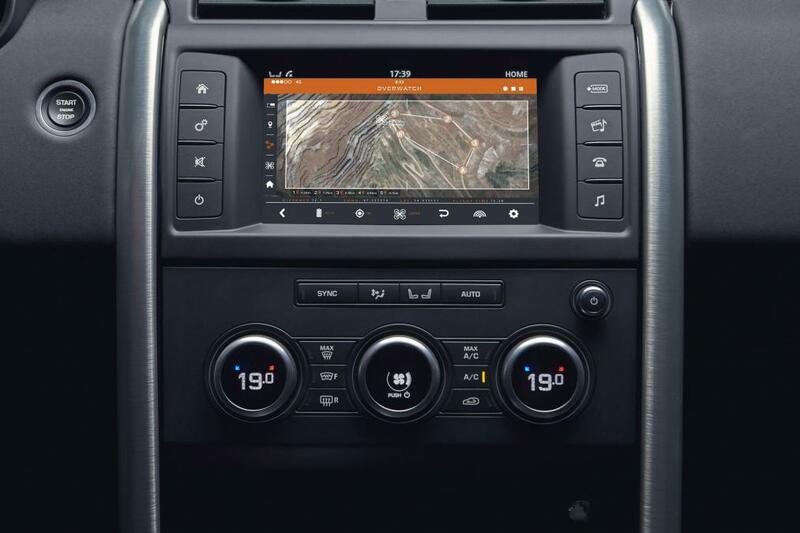 A fully integrated landing system featuring self-centring and magnetic retention technology is a world-first that enables the drone to land on Project Hero when the vehicle is in motion. 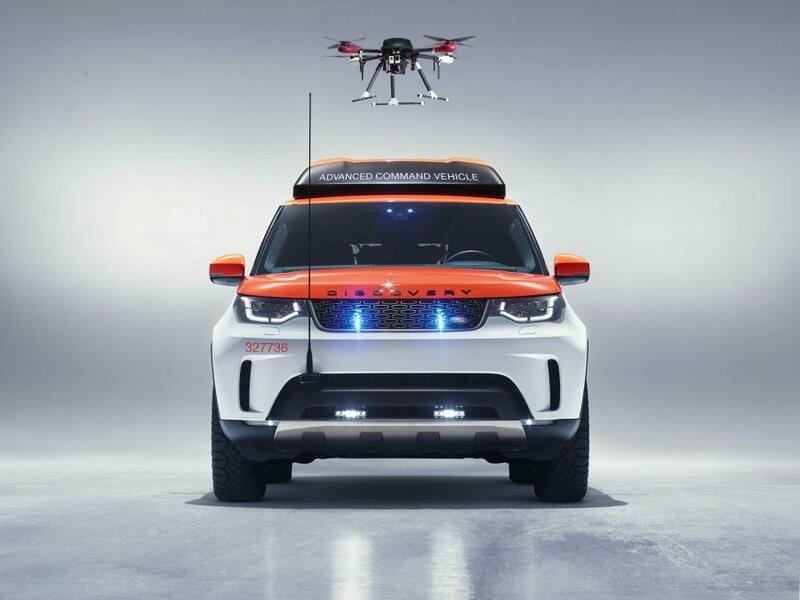 The drone enhances new Discovery’s already outstanding capability. With the drone airborne, live footage can be transmitted to the Red Cross’s emergency response teams, helping them respond more quickly and effectively to landslides, earthquakes, floods and avalanches. Dramatic landscape changes can make maps redundant, which adds to the danger and difficulty of finding and rescuing survivors, so the drone’s bird’s-eye view will allow rescuers to investigate an emergency scene from a safe distance. 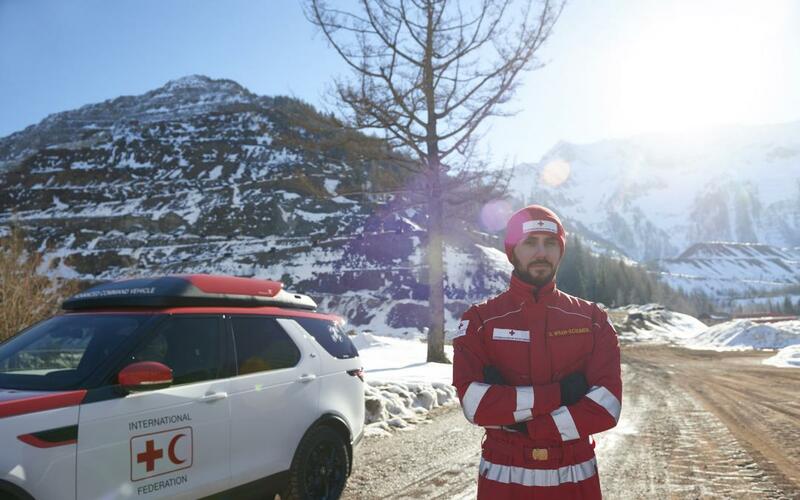 John Edwards, Jaguar Land Rover Special Operations Managing Director, said: “Land Rover and the team of engineers and designers at SVO are proud to support the incredible humanitarian work of the IFRC and its members. Dr Jemilah Mahmood, IFRC Under Secretary General for Partnerships, said: “We are grateful to Land Rover for their generous support over the past 60 years, and are proud of our ambitious global partnership that has transformed the lives of millions of people on four continents. “The partnership is supporting communities around the world to become more resilient in the face of natural disasters such as monsoons, flooding and earthquakes. 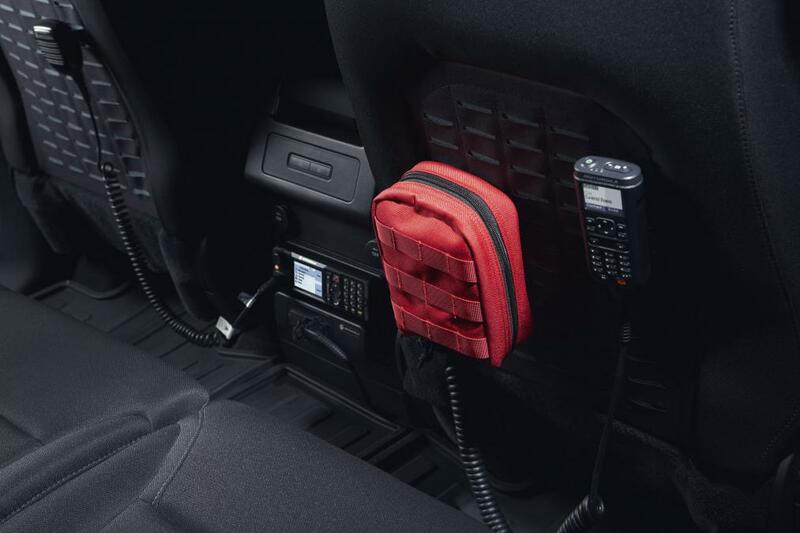 Project Hero is also equipped with multiple frequency radio equipment enabling contact to be made in a variety of situations. Project Hero will be based at the Austrian Red Cross training centre in Erzberg, in the mountainous Eisenerz mining area, and in Vienna, for 12 months from June 2017. The drone will be used in simulations to develop new and innovative techniques for disaster relief and on test-runs for complex natural disaster scenarios, including at night and in dense forests. Project Hero will also be used when the Red Cross provides emergency support at times of natural disasters, such as heavy snow or floods, or accidents. Spinal Immobilization: Treatment or Injury?